Poms poms are showing up all over the place! 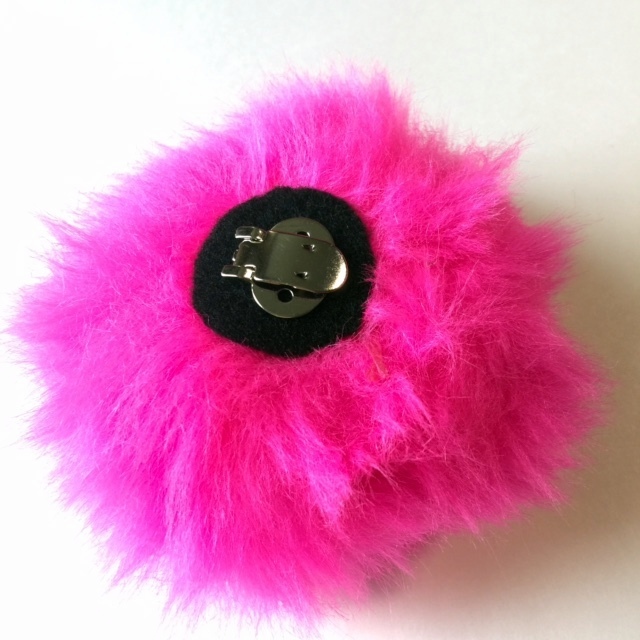 Topping off hats, furry details on key chains, and adding frou frou to handbags! And they're even showing up on shoes! 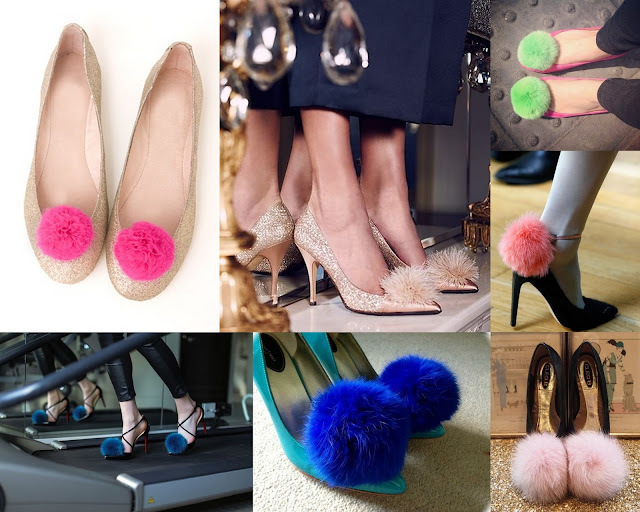 Poms on shoes add an unconventional element and bring a little bit of something extra special to an outfit! Adding a poufy punch to everything from ballet flats to red bottoms, in a variety of colors, sizes and fabrics. There are a several retailers out there where you can find clips like these made from luxe materials for $50 a pair or more. Today's DIY will give you the chance to save yourself some cash (for that new pair of shoes) and still have some fashion fun! Find the size pom that's right for you. For my first set, I decided to go big (and bright) or go home! So feel free to pick the size and shade that best represents your style. 1. Simply cut out your quarter sized round from the felt (I eyeballed mine). 2. Attach your clip with the hot glue to the center of the felt. Press it firmly to make sure it adheres, but be careful as the metal will be hot. Allow a few moments to cool. 3. Then apply a generous amount of glue to the other side of the felt and press it to the bottom of the pom. Mine had a flattish surface on the bottom. I left my clip open as it cooled (see image 3 above) so that the glue wouldn't seep through and make it stick together. 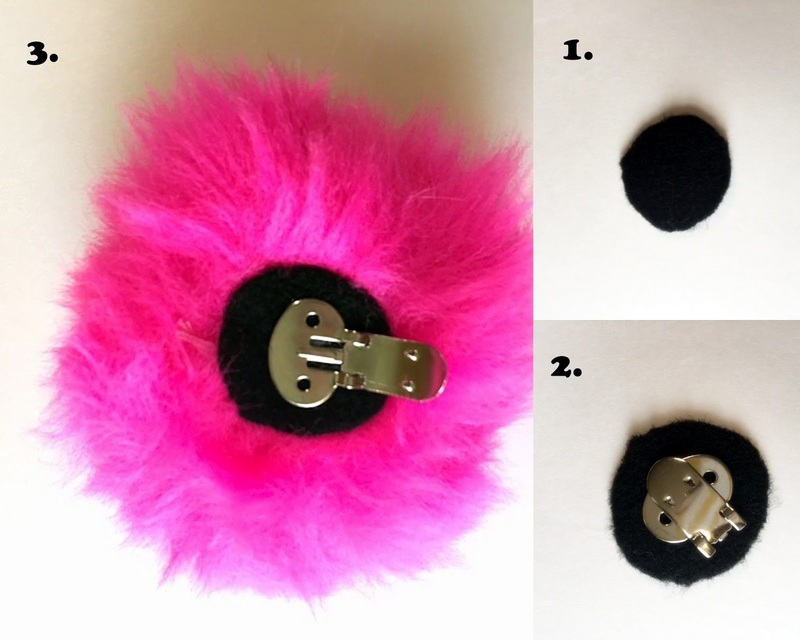 Once cooled, you can close the clip and complete your other pompom. And in literally less than 15 minutes you've got a new pair of clips to sass up any pair of shoe you want! Hey, why go for just bows on your toes, when poms are the bomb? !